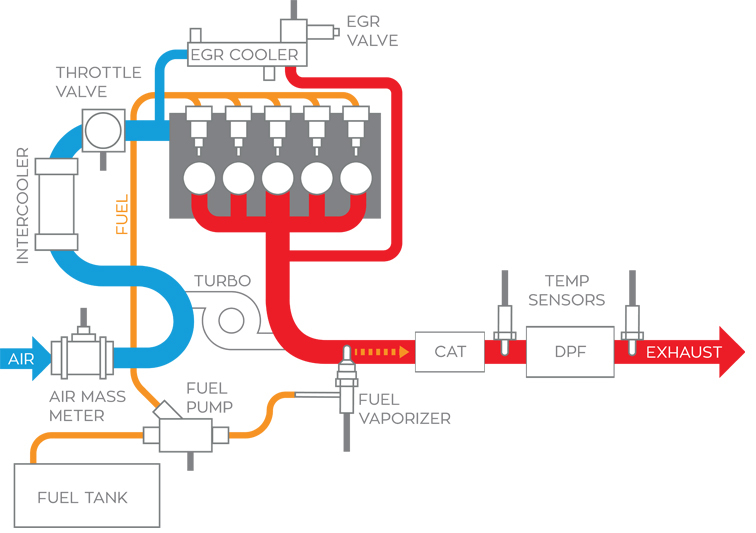 Elta Automotive takes a look at fuel vaporisers, what causes them to fail and what symptoms to look out for. As part of its ongoing strategy to provide independent garages with the matching original equipment (OE) components needed, Elta Automotive, through its VXPRO sense and control electronics programme, has launched a range of fuel vaporisers, primarily for Ford diesel applications. The fuel vaporiser is a relatively new component designed to improve the diesel particulate filter (DPF) regeneration process and further reduce harmful emissions from the engine’s exhaust gas. DPF regeneration requires extremely high temperatures in order for the soot that builds up during every day driving to be removed from the DPF by combustion. 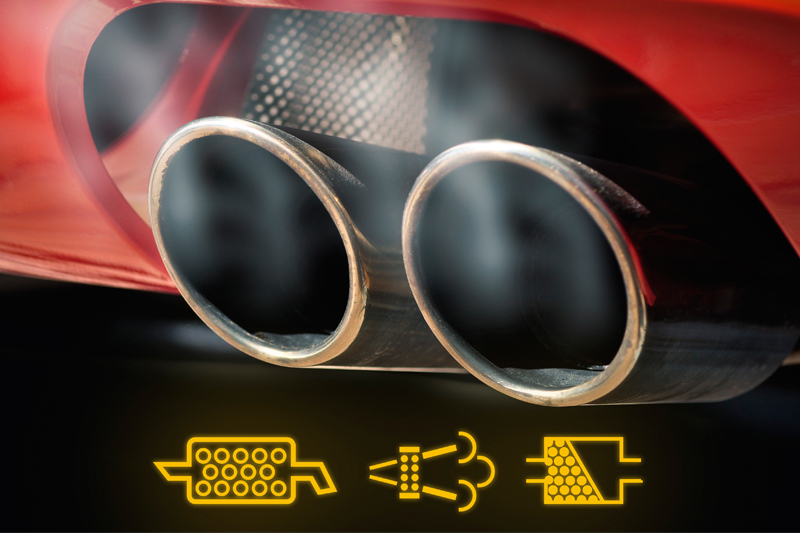 When the driving conditions do not allow for this temperature to be reached in the exhaust system, additional processes must be introduced to raise the heat. Traditionally, post injection of unburned diesel fuel into the combustion chamber provides the catalyst and raises temperatures. However, this has been found to cause oil dilution, leading to premature engine wear or more frequent servicing. Fuel vaporisers go some way to solving this problem, lowering emissions, whilst prolonging engine life. Rather than being injected directly into the combustion chamber, fuel is directed to the fuel vaporiser. 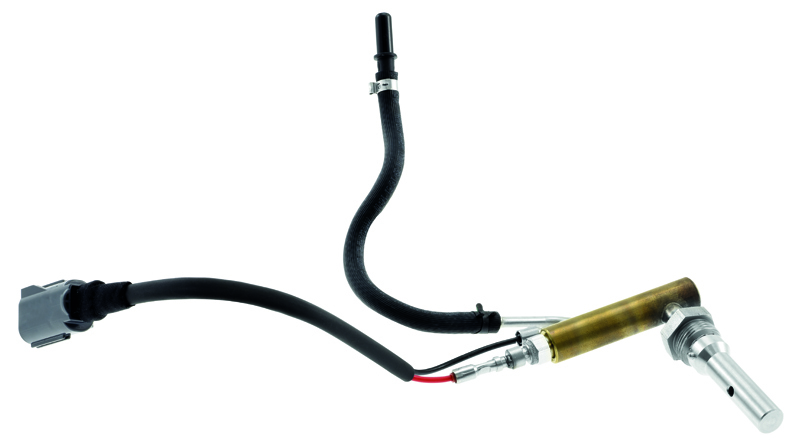 The vaporiser then uses an integrated, electrically heated glow plug to evaporate the fuel before injecting it into the exhaust gas stream ahead of the catalytic converter/diesel oxidation catalyst. Vaporised hydrocarbons are then burnt in the catalytic converter, releasing energy from exothermal chemical reactions and raising the temperature before the DPF, allowing for regeneration to occur, without oil dilution or the need for additional cooling. With the introduction of fuel vaporisers, vehicles can achieve more frequent DPF regeneration under lower loads and even at idle. Fuel vaporisers are a common feature on many Ford vehicles – for both passenger car and commercial vehicle applications – and while the technology boasts improved engine life and reliability, it is not without its problems, as it is believed that many Ford DPF issues stem from the failure of this part. As a result, demand for the replacement component within the independent aftermarket is on an upward trend that is predicted to continue over the coming years, which is why Elta has proactively introduced the matching OE-quality range into its VXPRO programme. When the fuel vaporiser fails, DPF regeneration cannot occur. This will cause the engine management light or engine service message to appear. Fault codes will usually point to a DPF issue and the vehicle may enter limp home or limited power mode until the fault is rectified. The most common cause of fuel vaporiser failure is clogging. When the outlet nozzle becomes clogged with soot, the component will fail. Cleaning the nozzle is generally not possible, so replacement is required. Overheating can also cause failure; this is usually caused by a lack of fuel being supplied to the component and can point to problems with the fuel pump. If the glow plug inside of the vaporiser fails, fuel will not be vaporised before entering the process. This may result in dark smoke from the exhaust. After replacing the component, fault codes can be cleared by the technician and DPF regeneration can be initiated once the engine reaches the required temperature.